What do we do when we are faced with someone who is determined to cause us harm? 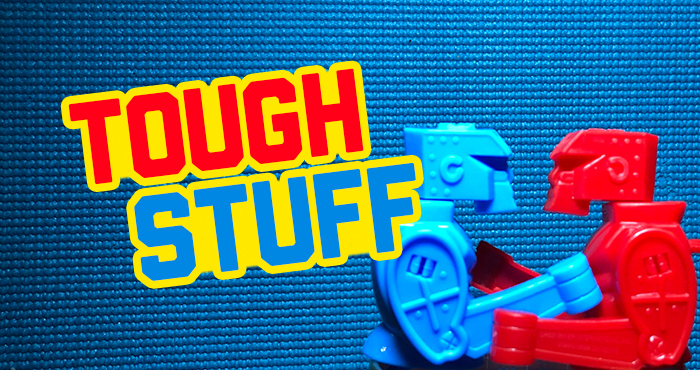 This is the concluding message in a series called Tough Stuff, looking at some of the things that Jesus taught about the issues that too often arise in our relationships with other people. WHAT DO WE DO WHEN FACED WITH SOMEONE WHO IS DETERMINED TO CAUSE US HARM? Matthew 5:38-48 You have heard that it was said, ‘Eye for eye, and tooth for tooth.’ But I tell you, do not resist an evil person. If anyone slaps you on the right cheek, turn to them the other cheek also. And if anyone wants to sue you and take your shirt, hand over your coat as well. If anyone forces you to go one mile, go with them two miles. Give to the one who asks you, and do not turn away from the one who wants to borrow from you. You have heard that it was said, ‘Love your neighbour and hate your enemy.’ But I tell you, love your enemies and pray for those who persecute you, that you may be children of your Father in heaven. He causes his sun to rise on the evil and the good, and sends rain on the righteous and the unrighteous. If you love those who love you, what reward will you get? Are not even the tax collectors doing that? And if you greet only your own people, what are you doing more than others? Do not even pagans do that? Be perfect, therefore, as your heavenly Father is perfect. Matthew 5:39 But I tell you, do not resist an evil person. If anyone slaps you on the right cheek, turn to them the other cheek also. Matthew 5:40 And if anyone wants to sue you and take your shirt, hand over your coat as well. Matthew 5:41 If anyone forces you to go one mile, go with them two miles. The Jesus-response flows out of our relationship with Jesus. The Jesus-response refuses to participate in the cycle of hurt. The Jesus-response is not easy.